Joseph John Daynes was the first Tabernacle organist. He served as accompanist for the Mormon Tabernacle Choir and as a soloist. Each evening when the Saints camped for the night a concert would be given at which the singing would be lead by John Daynes and the accompaniment played by Joseph J. Daynes on the little Melodeon [a small one-rank pump organ]. When the emigrants arrived in Salt Lake City they camped on the square now occupied by the City and County Building and, following the custom, indulged in a musical entertainment. 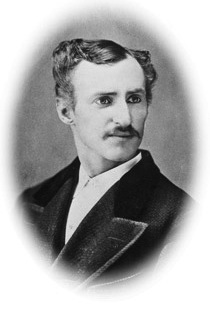 Daynes was sent to New York to study music and when the organ was completed in August 1867, he became the first Tabernacle organist at age sixteen. He held the position for more than thirty years. He resigned in 1900. Daynes and his wife, Mary Jane Sharp, were the parents of seven children. Daynes died on January 15, 1920. In 1862, Joseph’s father, John Daynes, founded Daynes Music, the oldest continuously run family business in Utah. This page was last edited on 29 January 2016, at 14:29.